77. Red sweet pepper (Capsicum annuum); not collected for the same reason as tomatoes. 76. Tomato (Solanum lycopersicum); not collected because I like eating tomatoes, not squishing tomatoes between newspaper sheets! 75. At least four different cultivar of garden roses (Rosa sp. 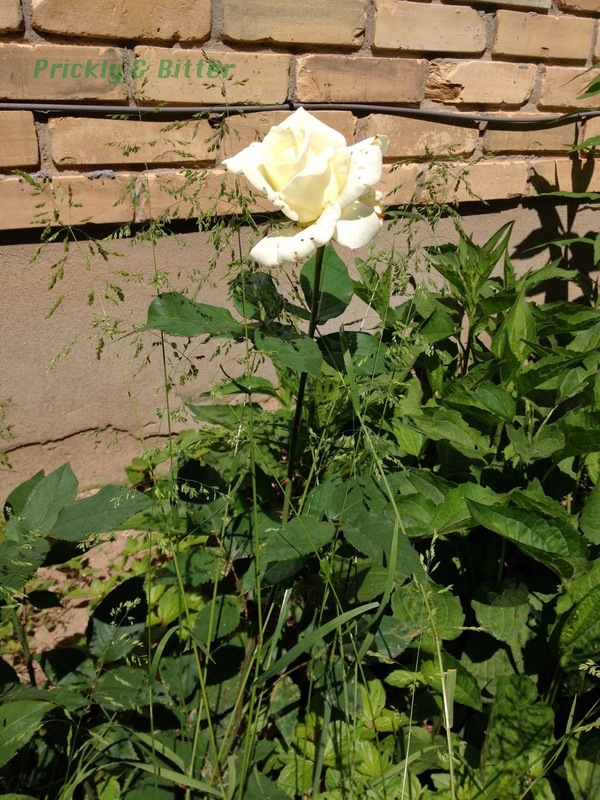 ; many are unknown cultivars): you can read all about roses HERE and HERE. 69. Red pine (Pinus resinosa dwarf variety): read all about red pines HERE. 67. Flowering dogwood, Kousa dogwood (Cornus kousa): read all about the flowering dogwood HERE. 66. 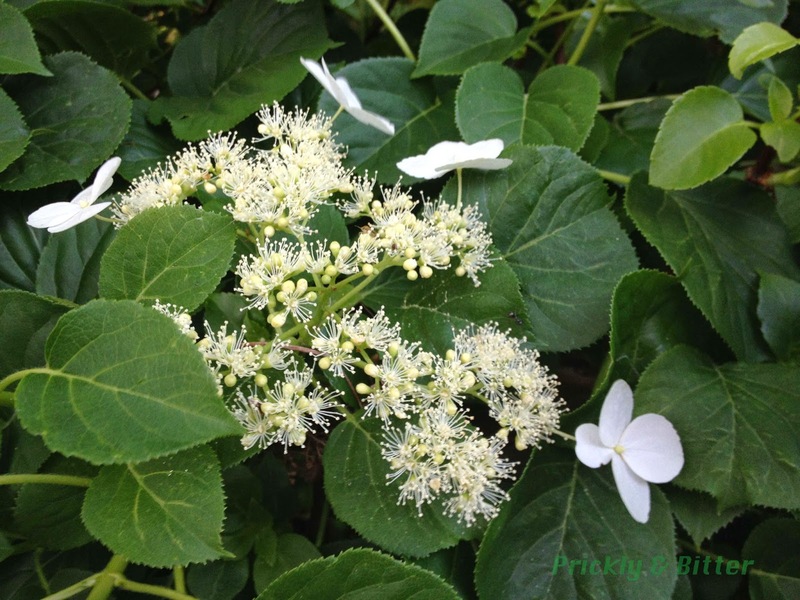 Climbing hydrangea (Hydrangea petiolaris): read all about the climbing hydrangea HERE. 65. Yellow flag iris (Iris pseudacorus)*: read all about the yellow flag iris HERE. 64. Japanese iris, blood iris (Iris sanguinea): read all about the blood iris HERE. 62. Common garden peony, Chinese peony (Paeonia lactiflora hybrid of unknown parentage): read all about peonies HERE. The inflorescence of the climbing hydrangea (Hydrangea petiolaris) growing up the side of our deck stairs. The white fuzzy flowers are the male flowers (those are all anthers sticking out which make pollen), the round blobby flowers are the female flowers (which make the ovules that will become seeds), and the white four-"petaled" things are female flowers with ornamenal bracts (not actually true petals) to attract pollinators. 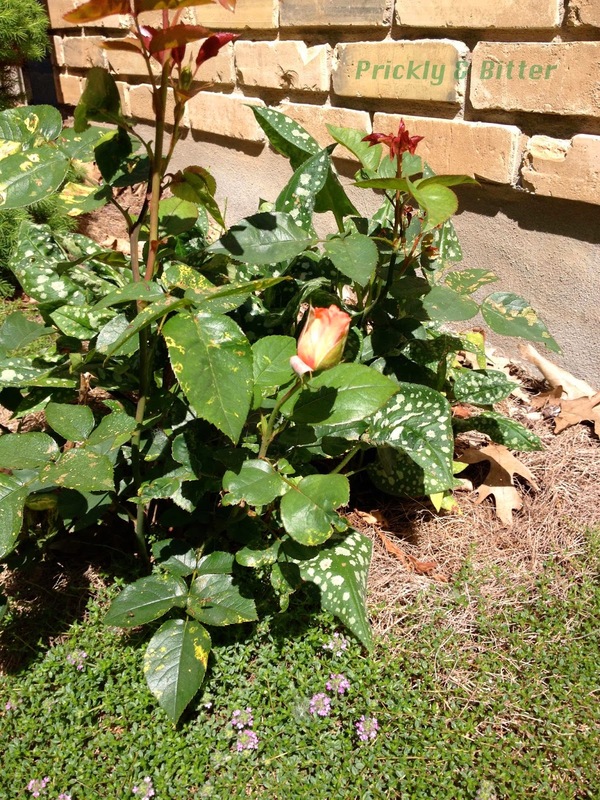 Another variety of rose, this one surrounded by black-eyed Susans (Rudbeckia hirta) that have yet to bloom, and some rough bluegrass (Poa trivialis). A butterfly bush (Buddleja sp.) is slightly out of frame to the left (looks rather pathetic this year after our harsh winter...I'll be surprised if it flowers).